If you’re looking for activities that the kids will love, you’ve come to the right place! Pigeon Forge is filled to the brim with fun attractions for all ages. The only thing left to decide is which one to visit first! To help you make the most of your trip, here are the top 4 kid-friendly attractions in Pigeon Forge TN. 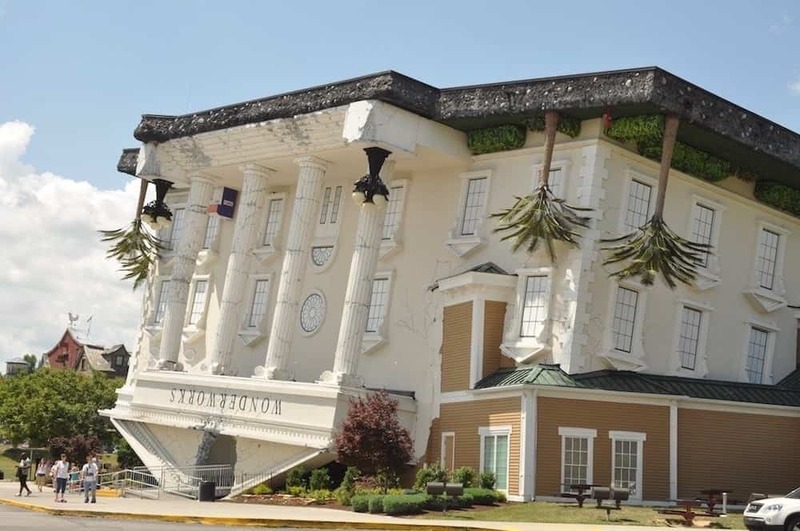 With more than 100 hands-on exhibits and interactive displays, WonderWorks truly is one of the best kid-friendly attractions in Pigeon Forge TN. There are 6 different Wonder Zones, each with its own unique experiences. In the Natural Disasters Wonder Zone, your kids can watch as a Tesla Coil emits 100,000 volts of electricity through the mesh, steel armor glove. They can feel the power behind a magnitude of 5.3 on the Richter scale at the Earthquake Cafe. The kids can even enter the Hurricane Hole and feel the force winds of a category 1 hurricane! With 4 unique experiences in one place, MagiQuest is one of the best kid-friendly attractions in Pigeon Forge TN. MagiQuest itself is an interactive, live-action, role-playing game. You and your kids will embark on quests and adventures in an enchanted, fantasy world as you use magic wands to solve the mysteries of the game. There are several other attractions to choose from here, but you only have to pay for the ones you play. Hit the slopes any time of the year with the whole family, at Pigeon Forge Snow. This indoor snow park is the first of its kind in America. Their real snow never meals away, but there’s no need for a parka because it always remains 60-70 degrees inside! Their snow is also made from 100 percent pure water, with no additives of any kind. You and your kids can enjoy a hillside of snow tubing fun as well as a huge Snow Play area. You can have all kinds of wintry excitement as you race down the slopes, and build snowmen and snow forts. There is also a second level with a snack bar where you can simply relax and watch your kids tube for free! Open the door to the past as you board the largest Titanic Museum Attraction! When you enter the ship, you will receive a boarding pass of an actual passenger or crew member. Be sure to discover your passenger’s fate in the Titanic Memorial Room before you leave! As you move along on this self-guided tour, you’ll be able to see over 400 artifacts, some on display for the first time in the world! There are also tons of interactive experiences that the kids are sure to love! They can sit in an actual size lifeboat and hear true passenger stories, shovel “coal” in the boiler room, and learn how to send a distress signal. You can also try to keep your balance on the sloping decks of the ship’s stern to get an idea of what it was like when she descended. If your kids are ages 8 and under, they can visit Tot-Titanic, an interactive area designed just for them. Now that you know all the best kid-friendly attractions in Pigeon Forge TN, it’s time to start planning your trip! Browse our selection of Pigeon Forge cabins today, and find the perfect one for you. We look forward to seeing you and your family at Auntie Belham’s Cabin Rentals!